We’re a Sheffield-based Electronics and Web Design company who specialise not only in clean, subtle, Web designs, but we also supply custom screens for in-store and shop window advertising and promotion to local shops, offices, and places that the general public tend to queue. These can be doctors’ waiting rooms, dentists, council offices and banks/building societies amongst others. 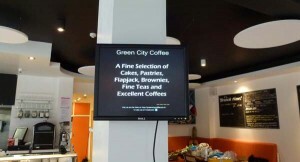 These screens can vary from a simple display showing a variety of images or even films clips stored locally on a memory card, right up to the full Internet-capable system that allows our more tech-savvy customers to change and modify their own images and video clips via a local Web browser. In the middle is the hands-free system (pictured above) that pulls a collection of images from one of our servers to form a slide show with whatever graphics the customer may need. When the customer wants an image changing, or an image added to the show, they simply give us a call. We then feverishly work in the background on the new image. When we’ve completed the work, we ring the customer back and simply ask them to re-boot their system. As it re-boots, it picks up the changes, and away it goes with the new images installed. This is normally completed within an hour of the customer’s first call, and the only time the display is ‘down’ is when the customer is re-booting their display -usually no more than a minute or two. As well as making the notice boards, we design and maintain great and functional websites for individuals and companies. We believe that as the Web becomes more and more a part of our lives, it should be easier and easier for non-technical people to get the most from. Yes, there are some superb websites out there with marvellous graphics and interfaces, but we feel that the Internet should be accessible from whatever device you’re viewing it from. Whether it is from a hand-held smart phone, a tablet, a notepad, or a full desktop, the Web interfaces should be seamless and intuitive. For many websites, as soon as they are viewed on anything less than a full-spec desktop, they are slow and prone to glitches. 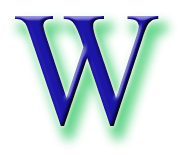 When viewing them on a reduced-size screen, the user has to enlarge the picture endlessly, then scroll back and forth to be able to read the text. This can be very annoying for the user! Over the last couple of years, we’ve been developing Web software that works on all platforms with only minimal differences between the mobile and full desktop version. When we’re not doing that, we handle product photography for web pages, and we also write content for websites, press releases and even graphics for printed media. …If you ask us very nicely. As if this wasn’t enough, we practise electronics and microcontrollers, and while we specialise in PIC processors, programmed in ‘C’, and even assembler, we’re increasingly becoming involved with the Raspberry Pi computer, along with the educational, and above all, fun, Arduino microcontroller. We’re currently working long-term on the ‘Electric Bike‘ project for LEAF Sheffield, a community allotment project here in Sheffield. If you would like one or two of our displays in your workspace, shop or waiting room, or a website you’d like a quote for, then drop us a line, or give us a call on the number to the right hand side.